A recent Scottish Environment Protection Agency (SEPA) report has upgraded many parts of Scotland to a state of “significant” water scarcity. The document finds that areas such as north-east Scotland, Ayr and Irvine had sufficiently low water levels to justify being moved to the highest level of alert. 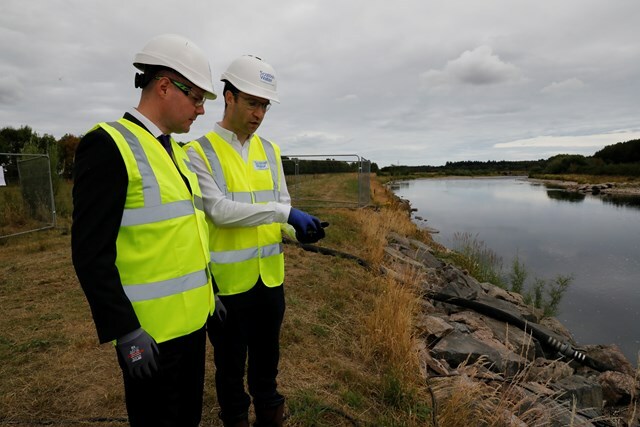 “North East Scotland, North Highland and the Clyde, Ayr and Irvine have moved to Significant Scarcity due to evidence of ecological impacts resulting from a protracted period of exceptionally low flows,” it states. Although heavy rain spells have occurred across parts of the country during the current UK heat wave, it has not been abundant enough to alleviate the very low river levels across Scotland. Lower river levels have meant an increasing area of river bed is becoming exposed and in parts of rivers where there is water, it is shallow and slow-flowing. The report emphasised the environmental impact this has. Scottish Water has advised citizens to use water “wisely”. Forecasts are unclear as to whether there will be enough inland rainfall to improve the scarcity situation in the country. “It is highly likely that by the end of July, Scotland will have had the driest six-month period (Feb –Jul) since 1984,” the document commented. Despite this, normal public water supplies have not yet been affected. The agency plan on coordinating efforts to manage resources consistent with measures outlined in Scotland’s National Water Scarcity Plan. Previous articleHow do you respond to the demands of your water network?